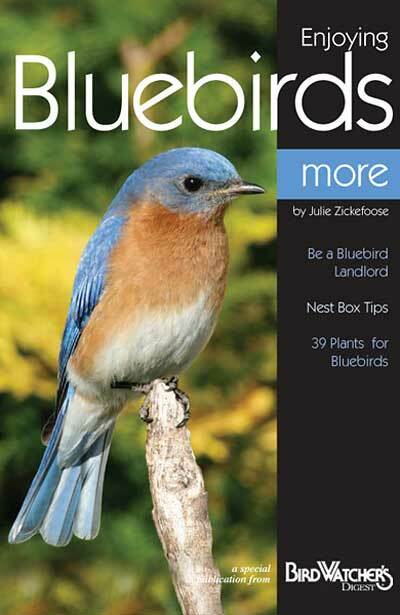 Become a bluebird maven after reading Enjoying Bluebirds More by Julie Zickefoose. This brief work describes the breeding activities, best sites for bluebird boxes, their life cycle, and particular patterns of behavior. Additionally, this work lists bluebird-friendly plants and nesting box tips, as well as a troubleshooting chart. This quick read is written in a concise manner, great for any beginning bluebird lover.